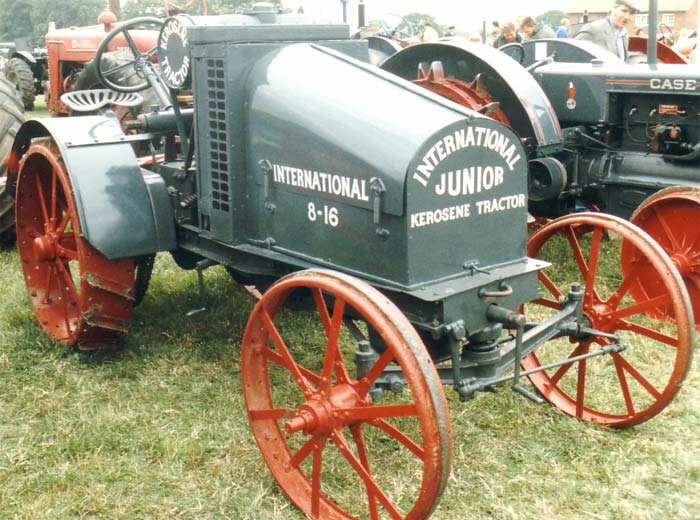 The International Junior 8-16 Kerosene Tractor was produced between 1917 and 1922. It was a much more advanced design than other Internationals of the time. The engine was an advanced overhead valve four-cylinder unit, but when compared to the contemporary Fordson Model F the International Junior still featured many primitive features such as: a separate channel frame and chain drive. A novel feature was the radiator mounted behind the engine which kept it away from dust and damage.